Z-Man Games has a pair of new releases available for you today. In one, you're leading a team of spies versus opposing spy teams, looking to complete your objectives while preventing your opponents from finishing theirs. In the other, you've actually got a collection of five games in one, all involving animals you'd find in the deepest, darkest jungles. You can pick up your copies of Spynet and Junggle now. Your mission begins now. It’s up to you to recruit the best agents to your side and use them to complete vital objectives. But be warned. Other agencies are operating in your area. You need to gather as much intelligence as you can to disrupt their plans — and keep them from disrupting yours. 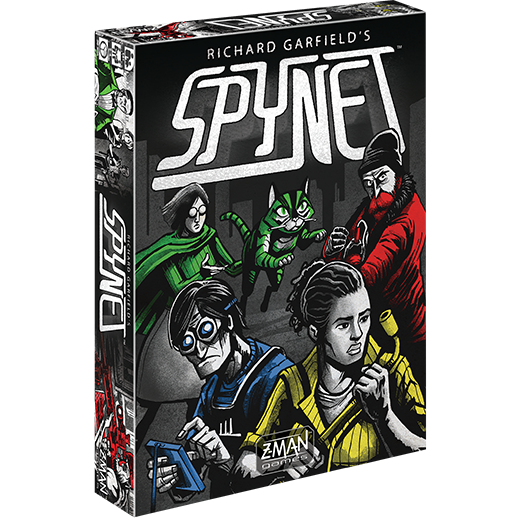 Z-Man Games is happy to announce that Richard Garfield’s SpyNet is now available! SpyNet is a thrilling card game that invites two to four players into the shadowy world of undercover intelligence. Become a spymaster of your own agency by strategically recruiting and deploying agents to the field. Agents boost your power in the four branches of espionage and only when you have the most power in a branch can you play a mission card from that branch to score points. Let’s go on a safari! We’re bound to see some beautiful animals on our trip. 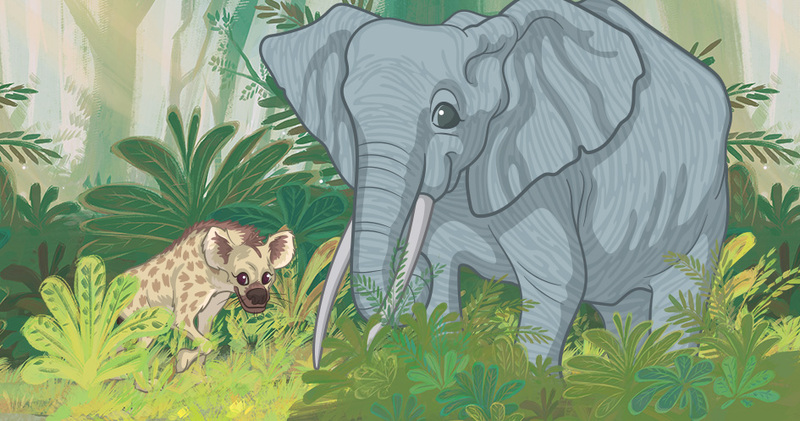 Whether they’re big or small, the jungle is a great place for all these exotic creatures to live and play. But no matter how big they are, sometimes the jungle can be very scary. Every animal is scared of another, and they’ll scurry away at the first sign of their appearance. Grab your gear. It’s time to head deep into the heart of the jungle and explore the relationships between the animals. Bruno Faidutti and Anja Wrede’s Junggle is available now! 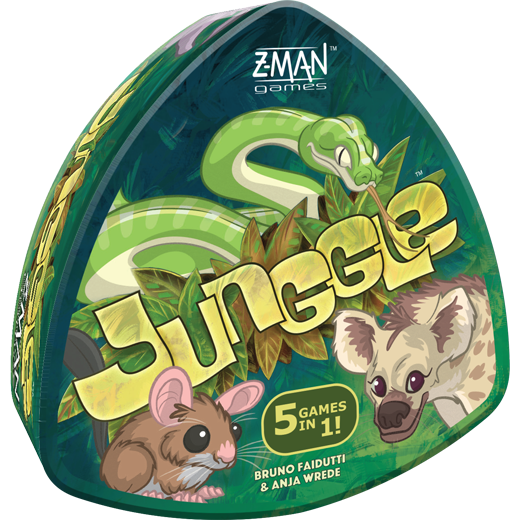 Junggle is an exciting series of five unique mini-games that invite you into the jungle to live alongside the animals. Using the same deck of cards and the animal wheel, the games take you on a wild ride through these creatures’ native habitat. Each animal on the wheel is scared of the animal immediately before it: hyenas are scared of crocodiles, snakes are afraid of hyenas, and mice are afraid of snakes. But elephants, the largest animal, are scared of mice.